They say necessity is the mother of invention, yet as an Engineer I wonder why are the so few woman Engineers these days? It’s not like you have to be built like Arnold Schwarzenegger to be a good engineer. Modern tools do most of the Hard yacka. 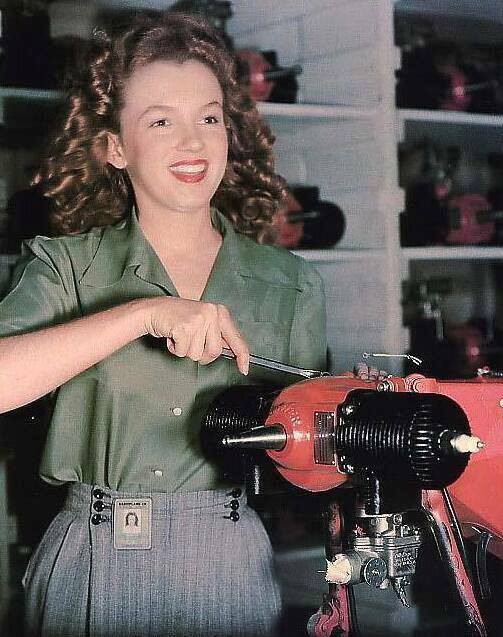 This worker in a Van Nuys, CA factory in 1944 soon started calling herself Marilyn Monroe. 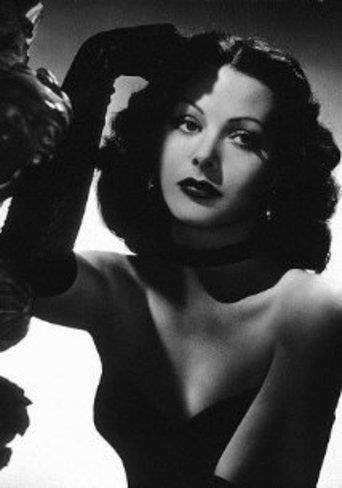 “Any girl can be glamorous,” Hedy Lamarr once said. “All she has to do is stand still and look stupid.” The film star belied her own apothegm by hiding a brilliant, inventive mind beneath her photogenic exterior. In 1942, at the height of her Hollywood career, she patented a frequency-switching system for torpedo guidance that was two decades ahead of its time. 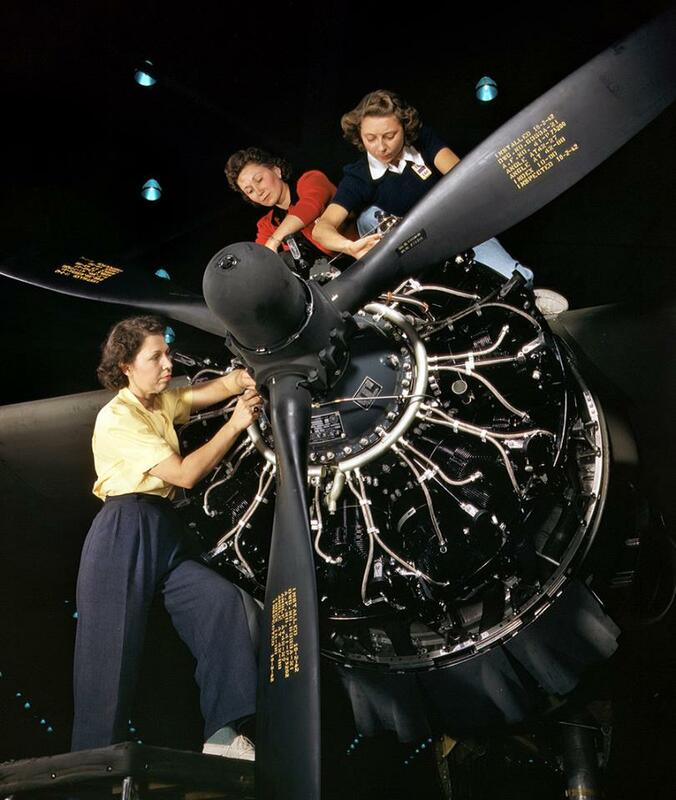 During WW2 woman put on overalls, and swung on spanners while their men busied themselves killing each other abroad and society nodded with approval at Woman getting their hands dirty. Yet today so few woman even consider Engineering as a career. Necessity is on vacation…. The Men have come home….and society has reverted back to tradition… to what is comfortable.